Robyn Valarik San Francisco Food & Drink Stylist - Clients, companies, jobs. San Francisco Food & Drink Stylist - Client page. 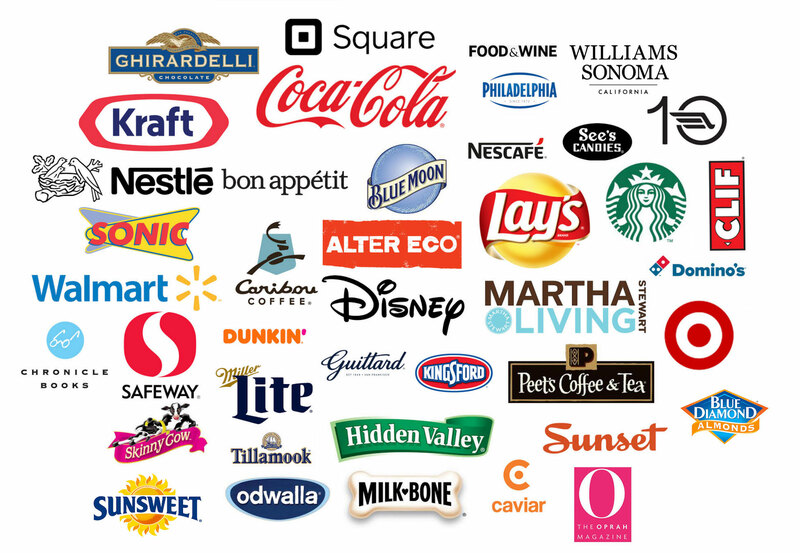 Coca-Cola, Tillamook, Blue Diamond, Blue Moon, Guittard, Ghiradelli, Starbucks, Dunkin', Nestle, Safeway, Skinny Cow, Ten Speed Press, Chronicle Books, Sunsweet, Alter Eco Chocolates, Clif, Peet's Coffee, Lay's, Martha Stewart, Nescafe, See's Candies, Williams-Sonoma, Square, Food & Wine, Kingsford, Miller Lite, Hidden Valley, Milk-Bone, Odwalla, Target, Sunset Magazine, Caribou Coffee, Kraft, Domino's, Oprah Magazine, Bon Appetit Magazine, Sonic, Walmart.